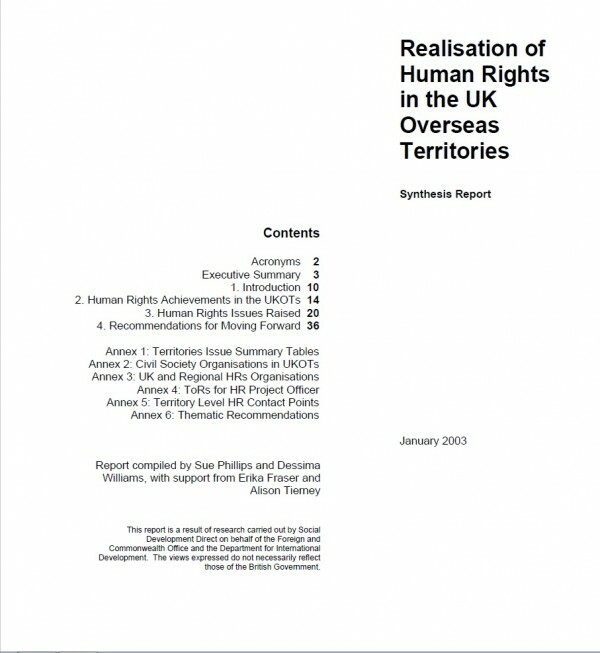 This report (dated January 2003) is the result of research on human rights carried out in a number of Britain’s Overseas Territories (OTs) by Social Development Direct (SDDirect) on behalf of the Foreign and Commonwealth Office (FCO) and the Department for International Development (DFID). The report reflects the views of those who were consulted individually or at workshops during SDDirect’s field visits to the Overseas Territories concerned. The report also suggests ways in which human rights issues in those Territories might be addressed.